Here are chuckz's ratings and reviews. 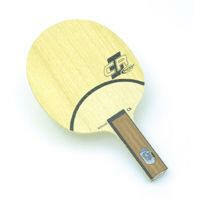 These ratings are useful because chuckz has his/her own standard and will rate and review the ping pong equipment accordingly, giving you accurate and useful ratings and reviews to aid you in your next online purchase. I have 2 blades in Legend. 1st one is 86g, head 155x150cm, well balanced with heavier rubbers, but whole bat is then heavier (181g). I both the 2nd one, which was 80g, 157x152cm (so differences are always) and put there Donic Acuda P2 1.8 on both sides so with heavier rubbers it could be a bit head heavy, but not much. Whole racket is 169g. It is lighter, slower and now I can improve my technique. With good technique you can play shots from close to table, mid distance and also mid to long distance from the table. Overall it is very good blade, sealing recommended, sanding edges, too. Legend handle satisfied my big hands and long fingers. 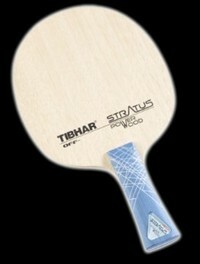 For comparison with TSPW, TSPW does have smooth finish on handle, but it could feel like you can through the racket during shots. Stiga's rough handle finish is therefore better for me. I did not try many blades, but now I know, this is what I was looking for. I hope it will last long time even with rubbers changing and won't splinter. Very good allwood blade. I had previous lighter bat and less weighted to head, due to ligher blade and rubbers, but after some training sessions I accustomed to it. Weight (90g) ensures better control and blocks, but it is also brilliant in loops and from mid distance it has enough power with my cornileau rubbers. I have long fingers and handle is really smooth and big enough for me. when I look at it for the first time it looked really small because of oversized head. Simply pleasure to play with it.